320+ different video audio outputs. Rip DVD to iTunes, MP4, H.264, H.265, MOV, etc. 350+ profiles for iPhone, iPad, iPod, Android, etc. Clone DVD to ISO image/DVD Folder. DVD Ripper for Mac – Rip DVD to Any Videos. 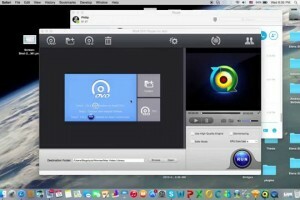 HD Video Converter for Mac – Convert Video. Download YouTube. All-in-one pack including Digiarty’s best Mac software which can help you easily rip & back up DVD, download YouTube online video, convert/edit/record video and create slideshow, etc. Get the Pack today, enjoy holiday gift, 30-day money back guarantee and lifetime free upgrade.